AWeber Review – The Best E-mail autoresponder? I read this article and found it very interesting, thought it might be something for you. The article is called AWeber Review – The Best E-mail autoresponder? and is located at https://howtogetref.com/aweber-review/. If any business requires rapid growth, it cannot ignore email marketing. There are plenty of email marketing tools, which are currently available to assist even the small businesses to get a start. This AWeber Review covers one of my favorites service to deal with email newsletters. AWeber is an email list management software of your choice and offers an easy-to-use platform with no hidden surprise. In facts, AWeber’s templates usually simplify the long process of creating a visually attractive email list and marketing campaigns. It’s reporting dashboard tracks the most crucial basic statistics. The following is the AWeber’s review that outlines the fundamental difference between it and other marketing tools. This email list management software allows you to manually add up to 10 contacts, or subscribers, through a form. In facts, each record collects the email address, a name of the person, ad-tracking value as well as the name of the initial email message that is received by a particular person. However, this can be a tedious and lengthy process for a long list of names where the import tool comes in to assist because it consists of a textbox that cuts and paste the entire comma-delimited list of email addresses. You can also upload a spreadsheet (XLSX and XLS) or text files (TSV, TXT, and CSV). You can also export the G-mail contacts to a CSV file and utilize the import tool. Ps. If you need help to extract your email from bulk content, you can use our free online email extractor. AWeber usually treats emails a little differently from other services. It is the best email autoresponder tool. There are various processes for creating Follow-up Series, which are typically the auto-responder, Blog Broadcasts, Broadcast messages. In facts, Follow-up emails are usually sent automatically when a new user is added, but the Broadcast messages are only sent one-time including the newsletters. Most of the Follow-up emails are triggered by either user’s action or time which is a crucial part of any e-marketing solution. To be more specific, AWeber invented the autoresponder back in 1998 which make the service functionality to be mind-blowing excellent. It is very easy to set up the Follow-up emails depending on time interval, that is, automatically submitting subscribers an onboarding email, especially immediately after sign up, a “follow us on social media” email a week, and a promotion code two days later. In facts, this is a typical use of autoresponders, and it is a breeze with AWeber tool. Triggering autoresponders depending on the user’s actions as well as purchases is somehow complicated compared to the key competitors. However, using AWeber, it’s possible to create “Goals” or integrate automation rules with the tagging, to ensure autoresponder tool behave in an entirely optimized manner. When you send your Broadcast, it’s possible to track its success via the Reporting tool. You can see the open and click rate plus the number of replies as well as the non-subscribers for each campaign. In facts, there is no Google Analytics Integration. However, there is a very useful step-by-step process guide on how to utilize Google Analytics on a DIY basis with AWeber. It consists one of the most extensive sets of reports ever discovered in an email marketing tool. The available reports include the clicks and opens over time, the subscriber growth, new subscriber over a period, follow-up statistics, ad tracking, and subscriber location among others. The AWeber software provides a mix of essential features such as file imports with more advanced features such as creating your email templates, in an easy-to-navigate users interface. The AWeber’s great tools and user segmentation abilities make it perform greatly, especially when used for business purposes. Get Started with AWeber – 1-Month FREE Trial! Try it and see for yourself how awesome AWeber is! 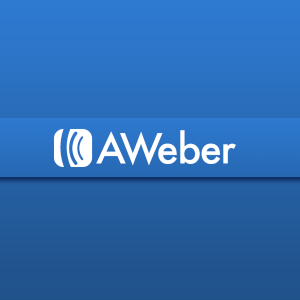 Are you already a member of AWeber? Share your opinion in the comment section below. 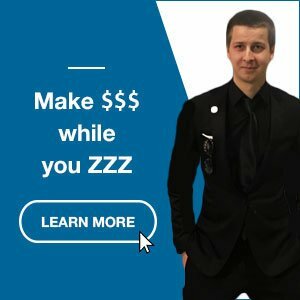 Grandbux Review – Is Grandbux Legit or Scam? I like it! Nice to hear you enjoy the tool as well.